No longer do wine bottles need to be hidden behind cellar doors—today’s modern homes frequently use wine storage as much for décor as for practicality. 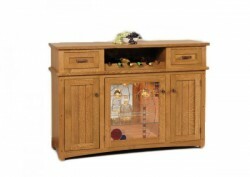 A wine storage cupboard from Amish Originals can blend the best of both needs as it can be a beautiful accent piece to efficiently hold your bottles of wine. All of the wine storage options from Amish Originals can be custom designed to suit the particular size and décor needs for your home. 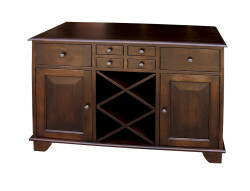 That means customers can select the dimensions, stain color, wood species and hardware, making each wine storage unit a unique addition. Each wine rack is made by hand using time-tested techniques by Ohio’s storied Amish furniture craftsmen. Built with solid American hardwoods like Maple, Red Oak, Cherry and Quarter Sawn White Oak, each item is built for durability and for beauty. To learn more about the options available when choosing you new wine storage furniture, drop by our showroom in Westerville, Ohio’s historic Uptown shopping district. Our skilled sales and design associates can help you make a selection that will be a showpiece in your home for years to come.